A United Launch Alliance Delta 4-Heavy rocket, crowned by a solid-fueled upper stage kick motor, will send NASA’s Parker Solar Probe on a speedy voyage through the inner solar system following liftoff from Cape Canaveral. The 233-foot-tall (71-meter) launcher is set for liftoff from Cape Canaveral’s Complex 37B launch pad powered by three Aerojet Rocketdyne RS-68A main engines. 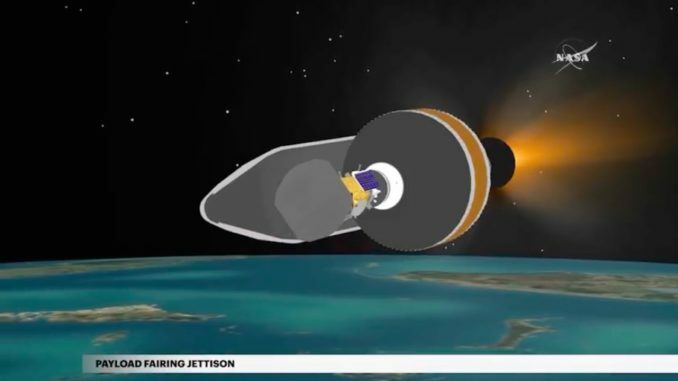 The Delta 4-Heavy has flown nine times before, and is made up of three modified Delta 4 first stage cores bolted together. The all-cryogenic launcher burns a mixture of liquid hydrogen and liquid oxygen. The $1.5 billion Parker Solar Probe mission will become the first spacecraft to travel inside the sun’s corona, a scorching region of plasma extending a few million miles away from our star’s surface. 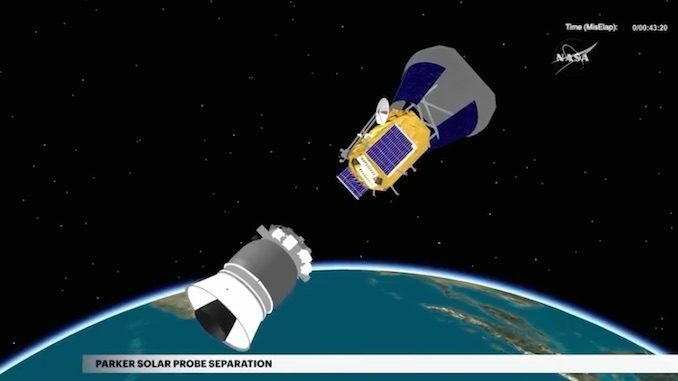 The mission’s objectives include helping scientists unravel how the solar wind is heated and accelerated into the solar system, impacting the planets, including our own. The timeline below is a rough approximation of the timing of the major launch events for the Delta 4-Heavy launch with Parker Solar Probe. 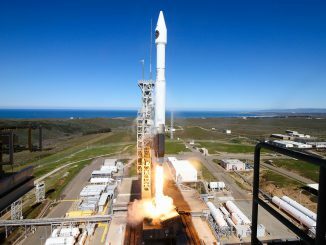 The exact timing changes day-to-day based on the launch date in the mission’s interplanetary window, which extends to Aug. 23. 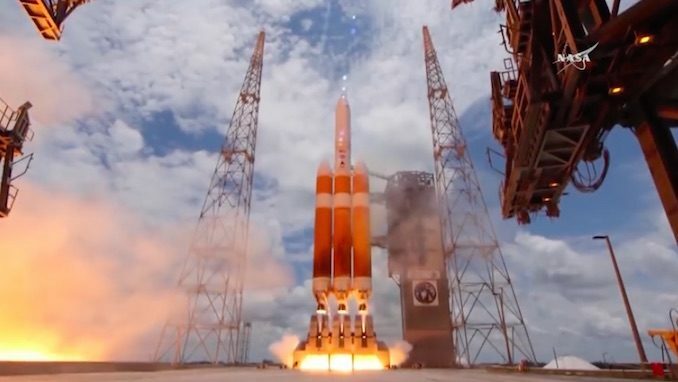 The United Launch Alliance Delta 4-Heavy rocket takes off powered by three Aerojet Rocketdyne RS-68A main engines. 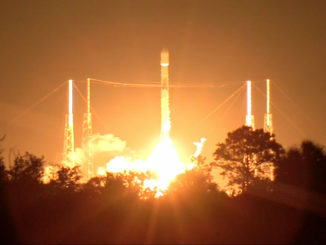 The hydrogen-burning powerplants ignite in a staggered fashion, with the starboard Common Booster Core set to ignite at T-minus 7 seconds, followed by the port and center boosters at T-minus 5 seconds. 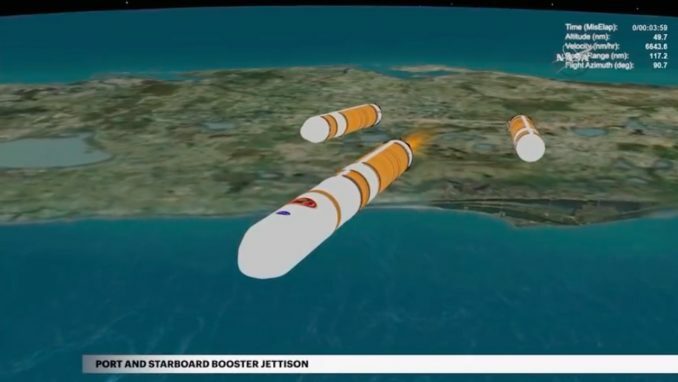 After consuming their liquid hydrogen and liquid oxygen propellant mixture, the Delta 4-Heavy’s port and starboard Common Booster Cores shut down their RS-68A main engines and jettison from the center core, which throttles up from a partial thrust setting to a full thrust mode after booster separation. 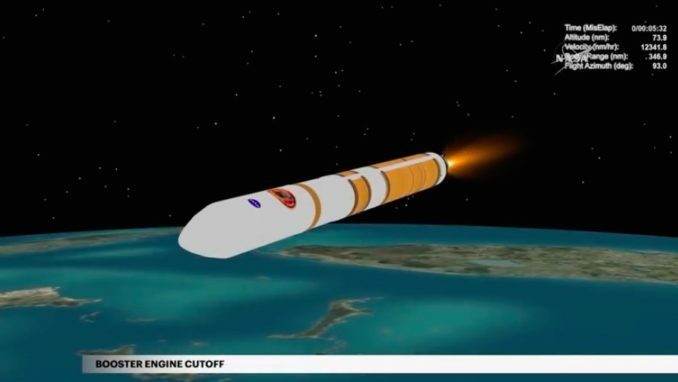 The Delta 4’s center RS-68A main engine shuts down after burning its supply of super-cold liquid hydrogen and liquid oxygen. The Delta 4’s Common Booster Core separates from the rocket’s second stage. 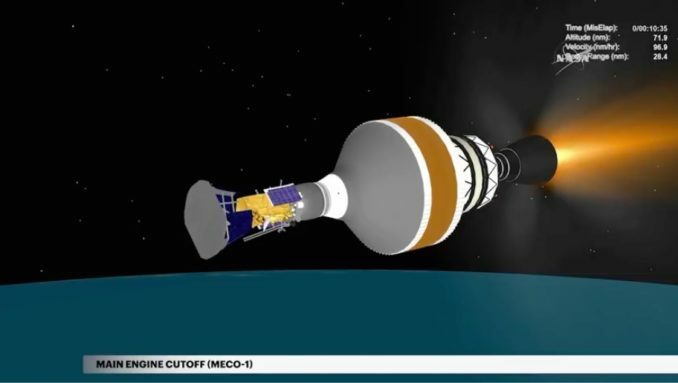 The Delta 4’s second stage Aerojet Rocketdyne RL10B-2 engine ignites and powers up to 24,750 pounds of thrust in the first of its two firings on the Parker Solar Probe mission. 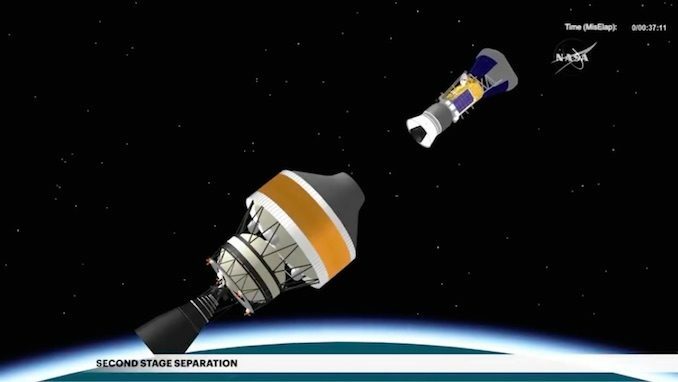 The Delta 4’s composite bisector fairing jettisons from the rocket once the launcher reaches a safe altitude above the dense lower layers of Earth’s atmosphere. 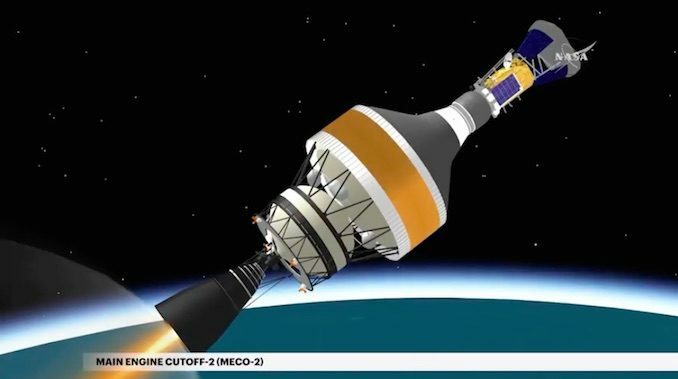 The second stage’s RL10B-2 engine shuts down after placing Parker Solar Probe in a preliminary parking orbit, beginning a 12-minute coast before the engine reignites. 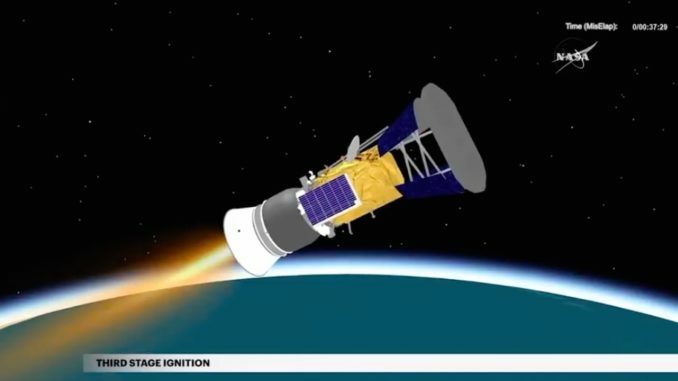 The RL10B-2 second stage engine ignites again to send Parker Solar Probe on a trajectory to escape Earth’s gravitational bond. 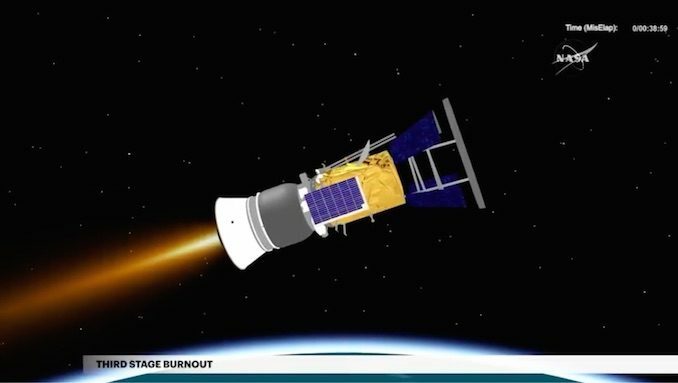 After burn lasting more than 14 minutes, the RL10B-2 second stage engine shuts down to end its second firing on the Parker Solar Probe mission. 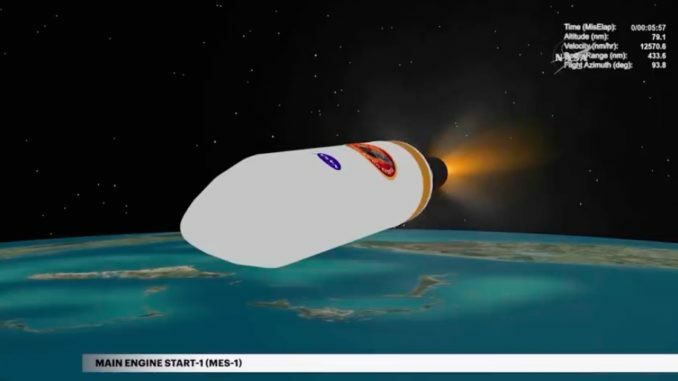 The Star 48BV upper stage kick motor, developed by Northrop Grumman Innovation Systems, deploys from the Delta 4’s second stage. 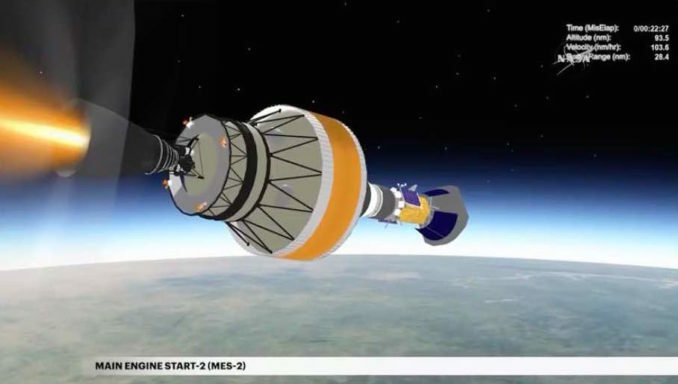 The solid-fueled Star 48BV motor, featuring control thrusters and a vectorable nozzle, ignites for an 89-second burn to send Parker Solar Probe away from Earth at higher speed. Ignition occurs once the Star 48BV kick stage reaches a distance of at least 50 feet from the Delta 4’s second stage. 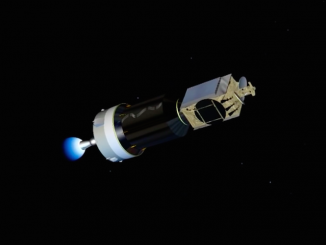 The Star 48BV upper stage kick motor burns out after consuming all its pre-packed solid propellant. NASA’s 1,424-pound (646-kilogram) Parker Solar Probe spacecraft separates from the Star 48BV kick stage, heading for a flyby of Venus in October to begin spiraling toward the sun.